As we know from experience, no handset is too elusive. 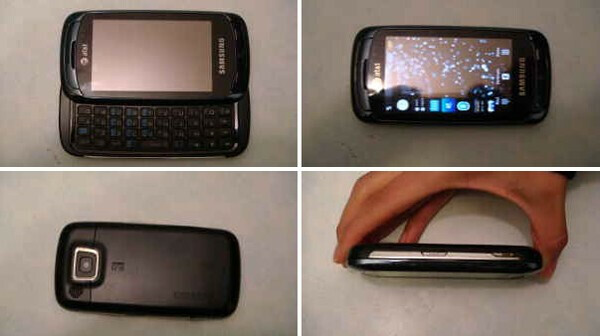 Seems like the same goes for AT&T’s upcoming Samsung A877, which has been spotted on craigslist. The device has appeared at a price of $400 and… by the name of the Samsung Eternity. However, what we see on the pictures that were attached to the offer is clearly the Samsung A877. We say “were”, because the link that should lead to the posting is no longer working. Now, here we might have an interesting suggestion – remember our news from March 9, when we told you about a number of leaked release dates. An unknown device for AT&T was present there, going by the name of the Jackfrost. According to the information, it should hit the market on March 29, which is about the time that the A877 is expected, so we may be talking about one and the same device here. Looks like we’ll just have to wait and see. this shud have bin the Glyed2 for Verizon. I agree, Verizon needs to get rid of the current Glyde and replace it with something similar in form factor and features. This phone would've been perfect.